Drone technology has the potential to increase UK GDP by £42 billion (or 2 percent) by 2030, according to new research from PwC. 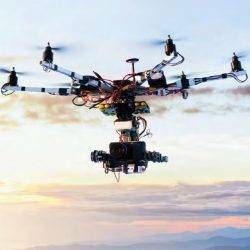 The research estimates there will be more than 76,000 drones in use across UK skies by 2030. More than a third of these (36 percent) could be utilised by the public sector (including in areas such as defence, health and education). The report claims that drone technology could help the UK achieve up to £16bn in net cost savings by 2030 through increased productivity. The technology, media and telecoms (TMT) sector stands to save the most by using drones, with a potential net saving of £4.8bn by 2030. Across the UK PwC estimates there will be 628,000 people working in the drone economy by 2030. New types of jobs to develop, build, operate and regulate drones will be needed, as changes in productivity and consumer demand resulting from drone usage create jobs. A quarter of people would switch jobs for the chance of flexible working Are these the UK’s best coworking spaces?